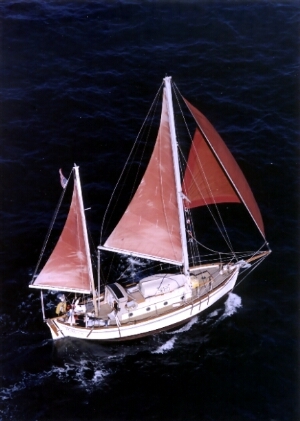 Design based on the orginal 1932 TAHITI KETCH with redesigned rig by Crealock (cutter or ketch). Many were sold in 'kit' form for owner completion. Dreadnought Boatworks was located in Carpenteria CA, USA.